This blog details the Outgrow Product Update for March 2019. It's been a busy couple of months here at the Outgrow headquarters. We have made some major changes to our tool. Are you curious about what they are? 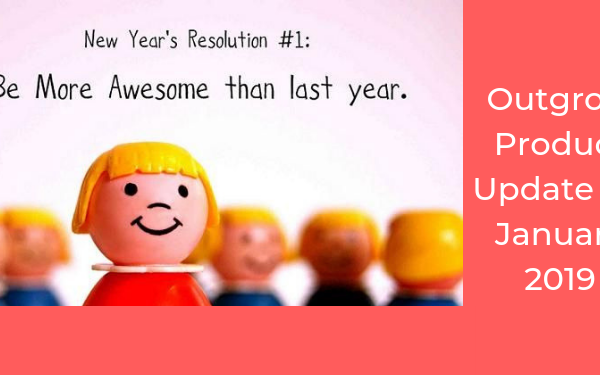 Well, as a customer-centric company, we aim to continuously improve ourselves. With this product update, we have tried to improve our tool so that it is easier to use and helps our customers reach their goals more efficiently. One of the major changes that come with this upgrade is the Performance Indicator. The overall performance indicator provides you an easy-to-understand report of your conversion, engagement and share rate. Moreover, it gives out handy tips so that you can improve these factors of your interactive experience. For instance, in this particular calculator, it suggests adding more pictures and optimizing them for increased engagement. It also suggests the creator to keep fewer fields in the lead generation form for a higher conversion rate. Furthermore, the Performance Indicator also provides observations on the share-worthiness of your interactive experience. 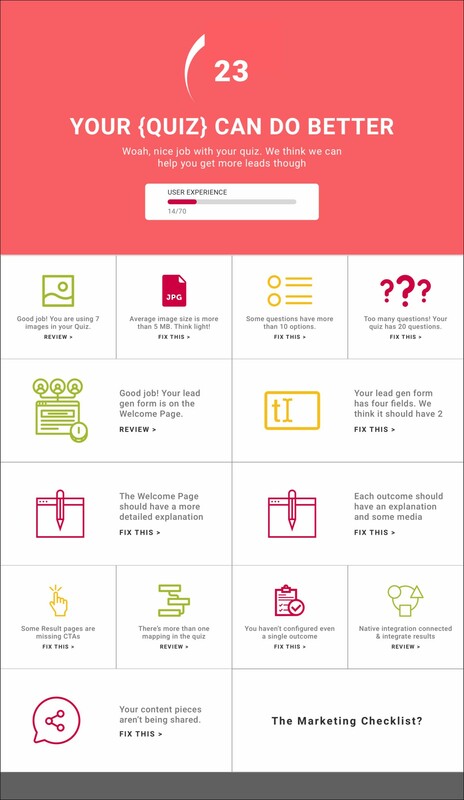 Does your result page have the optimum amount of content? Is it sufficiently personalized? Performance Indicator has got all the answers! We have repeatedly stated the importance of creating content around trending events for your Interactive experiences. This makes your experience share-worthy and increases its potential for going viral. However, searching for trending social events can be tiresome. Consequently, we have created a marketing calendar just for you. How can you put this into practice? Well, consider the Captain Marvel movie that releases on 8th March 2019. Now that you know this event is going to be trending over the internet, maybe you can create a quiz titled ‘Which Captain Marvel character Are You’? Your security is our utmost priority. If you change your email now, the verification token sent on your last email will become invalid. This change is specifically to help our new users. The Free trial gives the leads access to all the templates. Some of Outgrow’s advanced features (like logic jump) are not offered in Freelancer plans. A lead might lose the content he created in the free trial if his/her present plan doesn’t support a feature he used. Consequently, we created a pop up that ensures zero data loss. The pop up warns the lead about the data loss beforehand. Did someone mention ease of use? Because that’s what we heard. From now on, you will be able to mark certain experiences as your favorite. Moreover, you can distinguish between the published and non-published experiences as well. We have made two major changes to our Madrid template. We have added distinct ‘go next’ buttons on the graded quiz so that the user can forego the waiting period. Secondly, every question automatically shows the correct answer when clicked, instead of the results being shown at the end of each section. Many of our users create experiences from multiple accounts for different ventures. While they could duplicate calculators in the same account, the same was not possible for different accounts. 1) Click on the experiences and select ‘Duplicate’. 2) Select the account you want to clone the experience to. 3) Pat yourself on the back, because your work is done. To ensure a good end-user experience, Outgrow has a new module which will grade individual content pieces as well as the user account based on set algorithms. 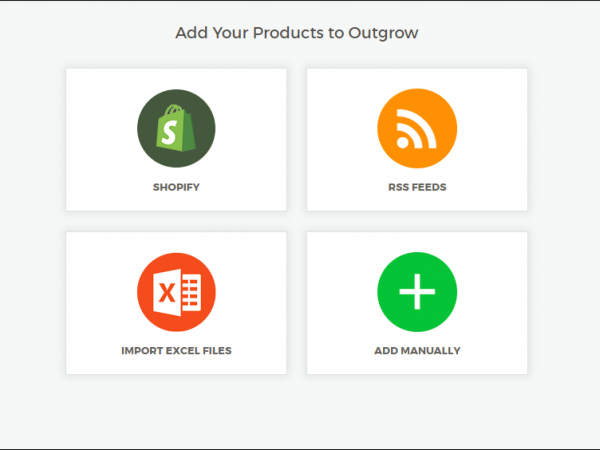 Outgrow now gives users the ability to add multiple product recommendations to Shopify cart and then open the Shopify cart from the recommendation page itself. Each product card will have a main CTA that will let people add that particular product in their Shopify cart. As a marketer, we are sure you understand the importance of segmentation. It helps you classify your leads and users. Consequently, you can form a better strategy that results in a higher conversion or retention rate. How will the new and improved Outgrow help you achieve that? 1) Head over to the ‘Analyze’ section. 2) Click on ‘User Details’. 3) Select the date, filter, and segment you want. How can we make the lead generation process easier and more detailed at the same time? We add a Clearbit Connect integration to it. So now, you capture the lead’s location and company without directly asking for it. After all, we know that having too many fields is a major turnoff. 1) The user can now skip adding a feedback message to a question and add it in the next one. 2) The First Time Builder view is much more user-friendly with easy to follow instructions and learn-it-as-you-go overview. 3) You now have the ability to not allow past dates in ‘calender-type’ answers. All you have to do is Toggle that option on. 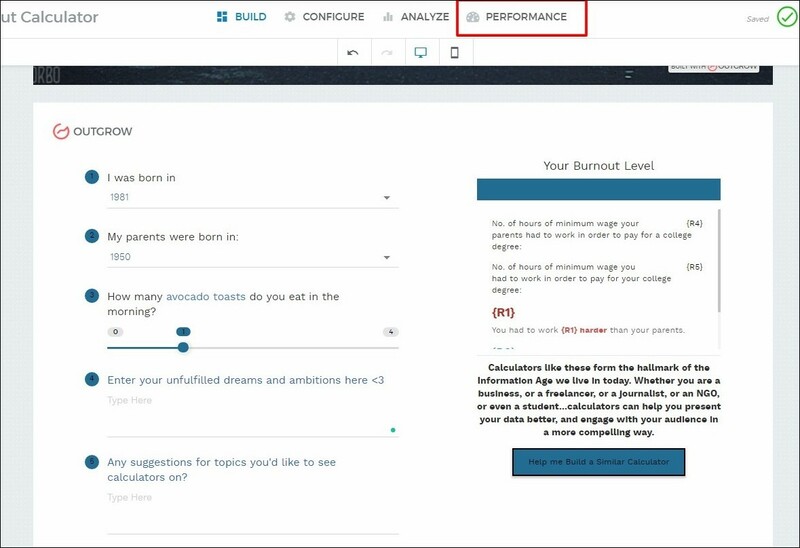 4) Users now have the ability to create segments in analytics before going live. 5) Lead Generation is on the welcome page as a default to ensure maximum lead generation. 6) The upgrade comes with the ability to add an icon in the header. 7) The interactive experiences will now have customizable text for ‘X people took this quiz.’ This can be used to establish social proof. 8) The upgraded Outgrow comes with new E-commerce integrations with Magento, Woocommerce, Big Commerce. 9) The tool shows the current template layout name under display settings in the Builder. 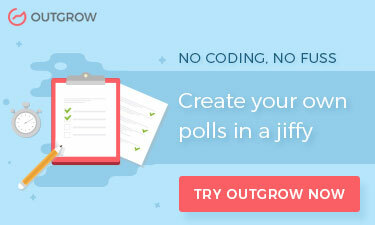 So, what do you think of the new and improved Outgrow? Is there any other feature that you’d like us to add to our tool? Until then, "Don’t Sell, Just Be Nice".